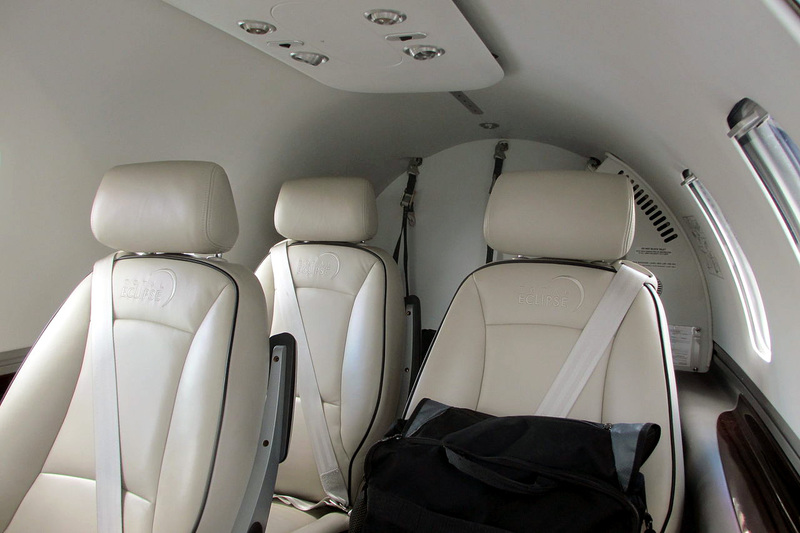 The Eclipse 550 jet does not have a lavatory or bathroom on-board. Since the Eclipse 550 does not have a bathroom, there is no sink or running water inside the aircraft. Being one of the smallest business jets on the market, the Eclipse 550 does not have room to put in a standard toilet or a non flush-able toilet like the Cessna Citation Mustang toilet. If you are considering purchasing or flying on an Eclipse 550, remember that there is no bathroom in the cabin. There is not an Eclipse 550 Lavatory, Bathroom or Toilet. The Eclipse 550 was designed as a small jet and does not have these features. Above Eclipse 550 photo (actually a Total Eclipse 500) modified by FlyRadius, originally by Jetrequest.com on Wikimedia Commons. Photo (only) released under a Creative Commons License. Also note that the Eclipse 550 lavatory, bathroom or toilet may also be called the Eclipse EA-50 lavatory, bathroom or toilet or the Eclipse EA-500 lavatory, bathroom or toilet.